Reaching the people where ever they are – in the swamps, on the rivers, in villages, the cities, the towns, in hospitals, schools, or even on the sport field. Every member of the TTN team works to fulfil the Great Commission through their ministry. Chris always loved fishing. A marine zoologist by training, farmer by experience but a missionary by calling. Chris has 17 years on the mission field, being discipled by David Salisbury for 12 years. 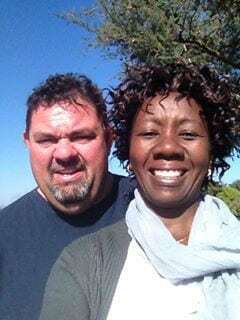 Chris is submitted under the leadership of Kabwe Chapel Rock of Hope Church in Zambia and City Impact Church in Mackay, Queensland. Chris sees his main role as being a co-ordinator and facilitator. He connects people with gifts and talents with situations where God can work through them for the Kingdom. Chris loves to open the doors for gospel, whether that is by making donations to hospitals or renovating clinics or building into a community through schools, new clinics or outreaches to spread the gospel. Angela loves working amongst women in the community and with her pioneering heart she draws women together, sees groups established to build the sisterhood of Jesus. Angela has a passion to help empower women, see them move from one level to the next and fulfil their destiny. She spearheaded the formation of a Ladies sewing group in Kangomba (Kabwe Rural) in 2012. This helped the women move from a culture of brewing beer to learning skills which in turn generate income. Together Chris and Angela, are the Directors of To The Nations Ministries Ltd live in Kabwe with their son Immanuel. Together they continue to make a difference AND make history with TTN Ministries – 1000s are saved at outreaches; hospitals are upgraded; clinics are restored and remote villages have access to education, small business loans are funded bringing hope of a better future to families. Keep Chris and Angela on the mission field, making a difference to the lives of many. Jabez Phiri is one of TTN Ministries long standing evangelists, being involved in ministry for over 20 years. He is a fully trained pastor who has a passion for outreaches and youth. He has the wisdom of an elder statesman all connected in a heart of worship. His greatest passion is Jesus. Jabez will take every and any opportunity to tell people about Christ’s love and salvation found in Him. Jabez has a passion for planting churches and church leadership. 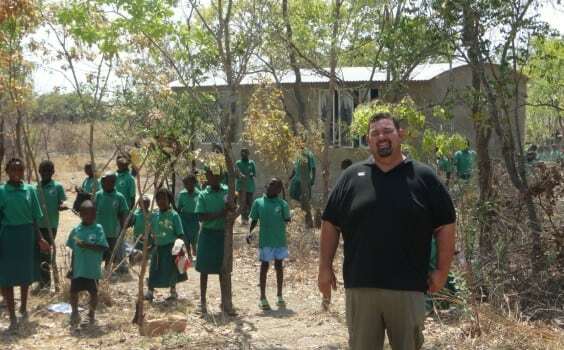 Jabez heads up the urban outreach programs but also oversees three rural churches for the POAG. Jabez is passionate about his local community, both in Kabwe and is on the steering committee for the Kangomba Community Development program. Jabez recently conducted soccer training and continues as life coach for two teams. Sports ministry has proven to be a great way to conduct outreaches. Financially supporting TTN Ministries enables all of our team to fulfil the Great Commission. For over 25 years Misheck has been taking the Gospel to the rural areas of Africa. 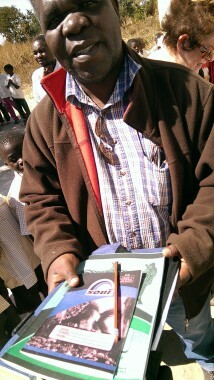 Outreaching, church planting as well as crusades. He is a true evangelist and lives the Great Commission. Misheck leads a team of disciples, from many different churches, in taking the gospel to the rural and at times, very remote areas of Africa. Misheck is a carpenter and fish trader. Recently Misheck bought a canoe. It has a duel purpose…Firstly, the fish he catches supplements his income and his fish sales give Misheck the opportunity to share the gospel to his local customers. Secondly, he uses the canoe to wind his way deep into the waterways of Lukanga swamp, finding his way to the unreached peoples of central Zambia. The conversations may begin about “today’s catch” but they always finish with Jesus. Tamara was radically saved and her life transformed while in Hospital. 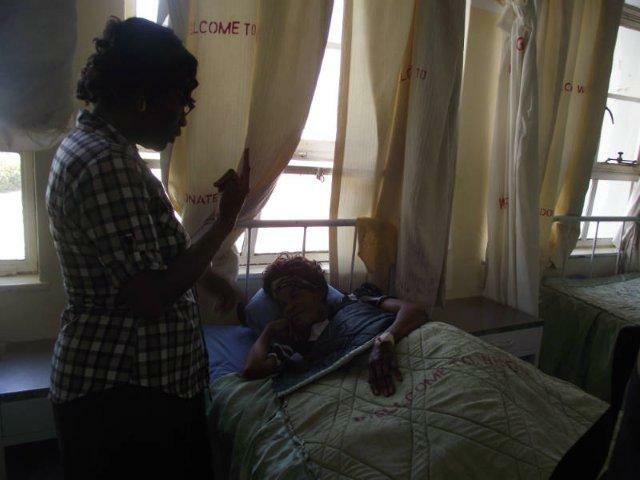 So it is no surprise that she has dedicated her life to being the Hospital Chaplain at Kabwe General Hospital. Tamara is living testimony of God’s redemptive power. Each day she speaks into many lives each time with absolute and resolute faith, love and compassion. She spends her week visiting hospital wards, introducing herself and asks those in the ward if she can spend some time with them to tell them about Jesus. Tamara shares the gospel, and of God’s great love, she then invites people to accept salvation, accept Jesus as their Lord and Saviour…hands are raised in prayer. Tamara ministers to thousands of people each month! Your financial support to TTN is used to fund Tamara’s daily work in the hospital, praying for the sick or sharing the gospel. We love the support TTN Ministries receives from church groups who knit newborn clothes, or provide resources to construct kits of clothes and daily essentials for people who unexpectedly find themselves in hospital post-accident. However we can only place these wonderful gifts into the hands of those who need them, when the shipping and transport of our containers are funded. Elijah is strongly involved in his local church and active in sports ministry. Having his own business, Huma Grace Driving School Elijah spends much of his time training others to be driving schools instructors. He also spends his time, in what we describe as a market place evangelist. Through his business people are told about Jesus. Elijah also upskills youth empowering them with skills to get off the streets and gain employment as drivers. 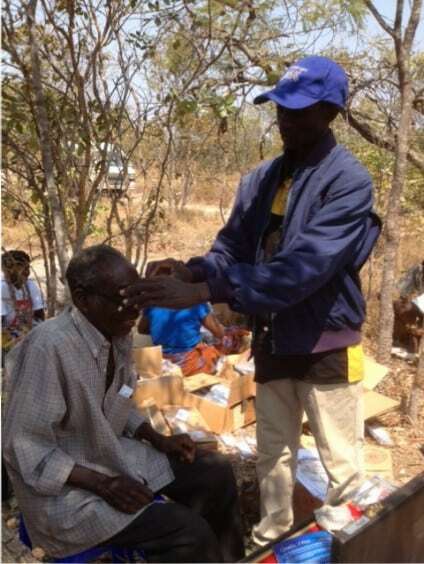 Partner with TTN Ministries and spread the gospel to the unreached people of Zambia and beyond.